How do you get a haircut?. 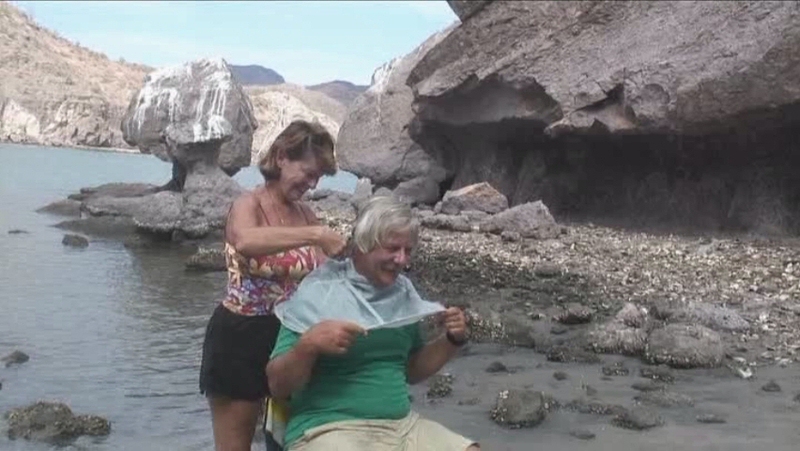 That's me getting a haircut in Agua Verde, Baja Mexico. During our travels, we take a lot of video. Some of it makes it into our DVDs, some just makes it to our family, some is just sitting and is waiting till we get to a shore side home so we can remember our own adventures. We have taken some short clips from a few of the videos we have taken and posted them to a free video WEB site called "YouTube" so they can be seen by any one who might be interested. If you have a fast Internet connection and would like to take a look, "Click Here". You will be taken to the YouTube site with a list of all of the "Shorts" we have posted. The videos on YouTube are greatly reduced in size so they are easy and fast to download. Due to the compact size, the quility is FAR from the actual quility taken. They DO NOT represant the qulility of our DVDs! Something NEW we are trying that you might be interested in. we are creating what we call "Op-Eval" videos of some of the items we use aboard. These are short videos of items and how they work. We hope to present the good and the bad. For some, this might provide a real time look at the items. This will show things like "how fast" or "how big" or ??? Thanks for taking the time to look this section over. If you have an idea or suggestion for a video short of something we have or use aboard Guenevere, drop us line. We will see what we can do about getting something on the system. I would also like to remind you that a LOT of the items we use aboard, can be seen in use in one of our DVDs. This is our mini operational evaluation of the fishing YoYo we use. It shows our setup and how we use it aboard Guenevere, our Nor'Sea 27 sail boat. This YoYo takes the place of large fishing rods and reels and helps out with our love of seafood. Attached to the YoYo is about 75 feet of line (75 to 90 Lb test), then the leader, then the lure, If you are using a normal Home Depot type bungee with hooks, I put out the line aft to where I want it, then make a small loop in the line. I hook one end of the bungee to that loop and the other end to a strong point (winch or stanchion or cleat). I then bring the line after the bungee up to the lifeline and clip the close pin. We tried to use both a gaff and a net (see net in the video). It was just easier to yank the line and flip it into the cockpit. So we lost the gaff and net, just a waste of space to store them. This is the mini operational evaluation of our Barns & Noble Nook eBook reader. This will show the basics of our use of our Nook. 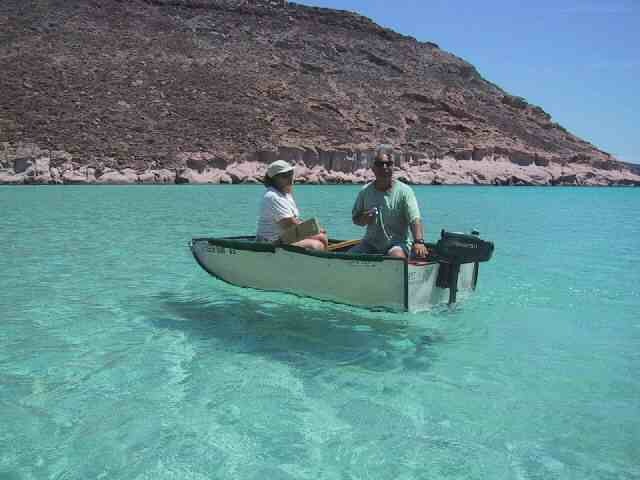 We currently have over 1,500 public domain ebooks aboard Guenevere, our Nor'Sea 27 sail boat. By using ebooks, we are never without ample reading material. This is the mini operational evaluation of our Sony PRS-505 eBook reader. This will show the basics of our use of it. We We have had this aboard for over two years now and it has worked without a problem. This mini operational evaluation is of how we store our tender overnight or when we need to secure it without taking it down for a passage or storage. It's a quick easy method that can be used on a number of different types of tenders. 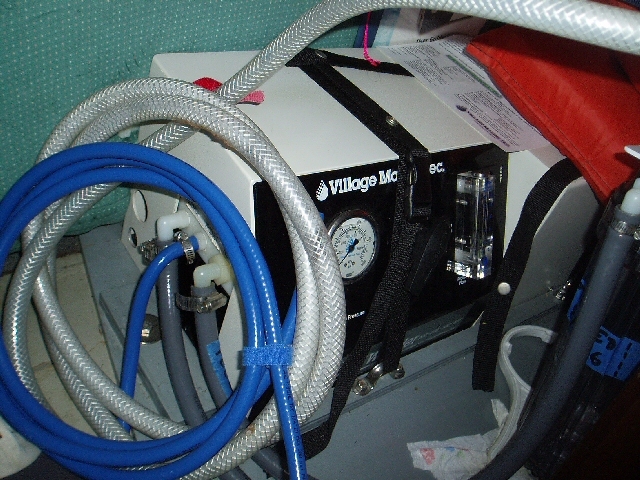 This is a short operational evaluation of our watermaker aboard Guenevere. We use it at least once every 3 or 4 days when out. If we do not use it in 3 days, we fresh water flush it. If we are not going to use it for over a month, we preserve (pickle) it. It has worked very well for us. The sound you here in the video is with the mic in the aft cabin within 12 inches of the unit (during the close-up) and in the view of the water going into the jug you here what it sounds like in our cockpit. During the video it is running off of our solar panels and battery power.